Engineer Assist Sophie Coke, 23, was fixing engines before she could talk, helping out at her dad’s garage. 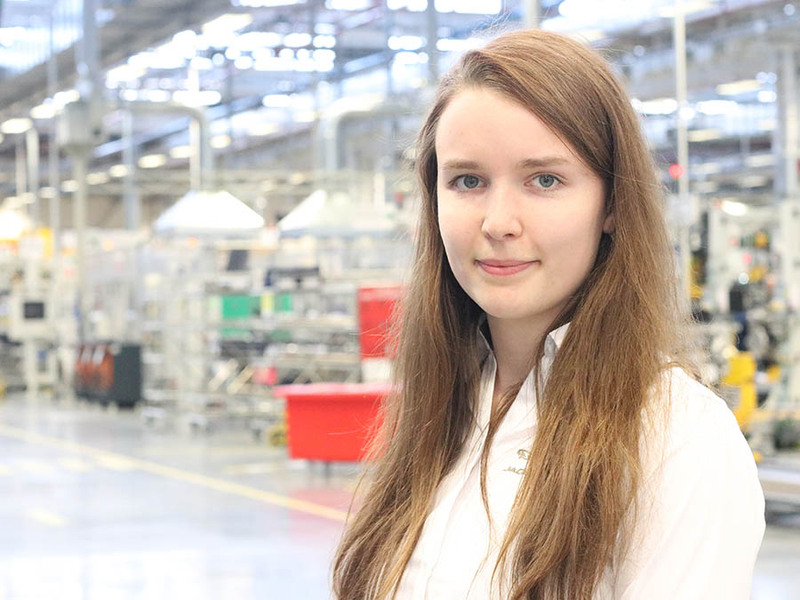 Her passion for all things mechanical led her to a degree in motorcycle engineering at Derby University, before she joined the team at the EMC nearly two years ago. Engineer Assist is a fast track programme, which supports associates with a passion for engineering and manufacturing, to increase their knowledge and expertise, as well as study for a degree. Sophie had a head start, but is really enjoying the opportunities that the programme has given her to work on different projects. “I was one of only two people who successfully applied for the Engineer Assist programme at the EMC. I’ve moved into the Manage the Change team, working specifically for the ops team in the petrol assembly hall. The aim is that I work with our central colleagues on engineering changes to ensure that they are implemented smoothly, eliminating the risk of downtime. I’m relatively new to the team, but I’m already finding it a great learning experience. I haven’t broken anything yet!